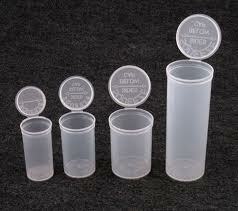 Plastic Vials Are ideal for storing samples and small quantites of various content. Available in two styles to best fit user applications. All vials are constructed of FDA compliant material. Specs: Uniform Capacity 1, Description Snap- Inside LId. This product was added to our catalog on Tuesday 10 January, 2012.